This study aid features an innovative method of content organization. It uses a checklist format to lead students through questions they need to ask to fully evaluate the legal problem they are trying to solve. It also synthesizes the material in a way that most students are unable to do on their own, and assembles the different issues, presenting a clear guide to procedural analysis that students can draw upon when writing their exams. 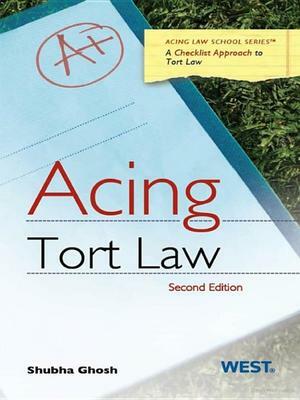 Other study aids provide sample problems, but none offer the systematic approach to problem solving found in this book combined with concise analytical summaries of the leading issues in tort law.